Who in CT is being cited for marijuana possession and by whom? After Connecticut decriminalized possession of small amounts of marijuana in 2011, citations from police dipped. 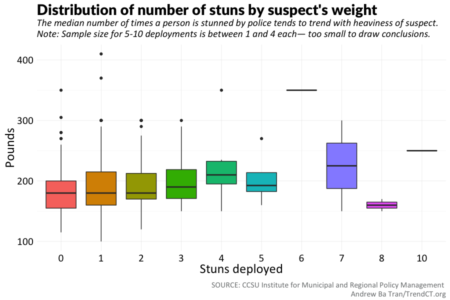 The bigger the suspects, the more often police were likely to have stunned them before taking them into custody. White suspects were more likely to be stunned in their home, while black and Hispanics suspects were more often stunned outdoors in a public area. A knife was the weapon suspects were most likely to wield before police deployed a stun gun to incapacitate them. 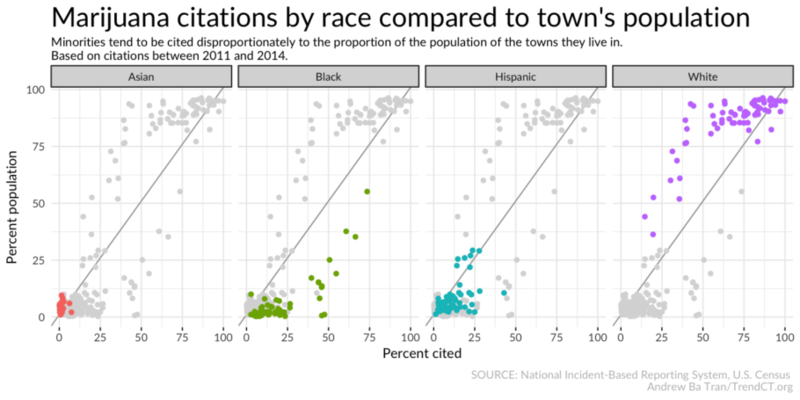 New unprecedented data on where traffic stops occur detailed can help determine where patrol officers might be focusing too much or not enough, as well as flag potential activities that have indicators for racial profiling. 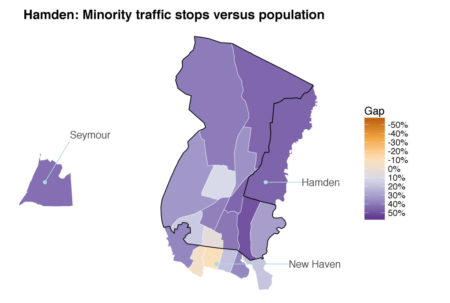 The proportion of minority drivers pulled over by police in Connecticut is greater during daylight hours when officers can more easily identify race, according to an analysis of Connecticut’s traffic stop data. 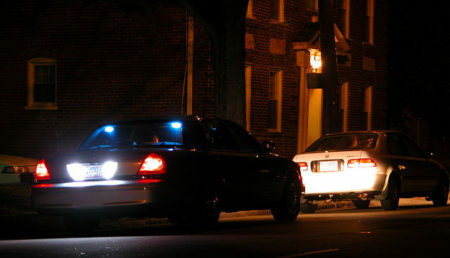 Data on Connecticut traffic stops is among the most detailed traffic stop data in the country, collected in an ambitious effort to curb racial profiling. 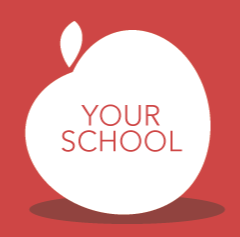 We’ve put together a visual walkthrough of this data at the statewide level, department level and individual officer level.